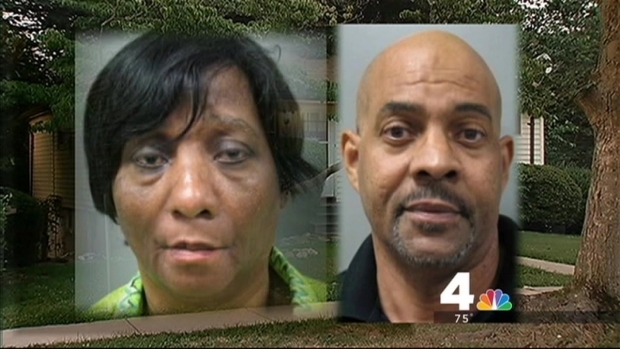 According to documents obtained by NBC Washington, Montgomery County police uncovered a room in the basement locked by a deadbolt when they were executing a drug-related warrant at the Lands' home on Crawford Drive last Thursday. Inside, officers found twin brothers Darnell and Derrick Land living in a urine-smelling "bedroom" with no furniture, little light and a single comforter on the floor. 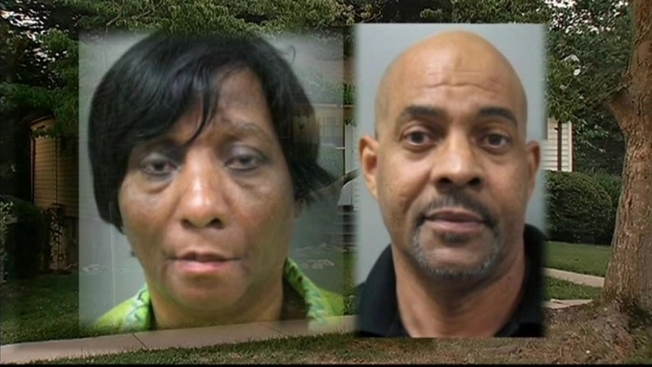 Rockville parents John and Janice Land are accused of locking their 22-year-old sons with autism inside a basement room of their Rockville home for six years. News4's Jackie Bensen reports. Police said Janice and John Land told them their sons are nonverbal and require constant attention. According to a probable cause document, John said one of his sons had previously caused some water damage to the home, and to prevent it from happening again, he admitted to installing a deadbolt and padlock on the outside of the bedroom with the "sole intention" of locking his sons in the basement room. John told officers he would lock his sons inside the room around 10 p.m. and would come back just before 5 a.m. to "let them out." According to the document, John said his wife, along with others, had also locked the twins in the room in the past. Documents said when investigators asked John how he and his wife would communicate with their sons if something went wrong or they needed something, John said his sons would "eventually make enough noise that he would hear them and go see what was wrong." He said there was no furniture in his sons' bedroom because they had soiled it the week before police arrived, and they had the furniture removed. According to the documents, Janice Land told officers she had no knowledge of her sons being locked in the room for six years despite being one of their primary caretakers and sharing a home with them. “If someone locked them in the room, I didn’t know about it," she told investigators. A neighbor, Sharon Drennan, told NBC Washington she heard about the twins being locked in the basement three years ago. "I reported it to the authorities, and nothing's ever been done. [Those] children stayed in there three years longer? That's sad. I can't believe it's come to this," Drennan said. Officers said there was a small window in the room, but not large enough to allow the two to escape had there been an emergency. According to the document, John told police he was aware of this problem. "We want to express to families, if you need us, if you are at your wit's end as a care giver, you can reach out to us, and call 911," Montgomery County police officer Laurie Reyes said. John and Janice Land are facing two counts each of false imprisonment and two counts each of vulnerable adult abuse of a family member. They have two other sons -- one of whom was arrested the same day as his parents for robbery and assault in the second degree of a disabled child at a playground.